Is your relationship with sleep always blowing hot and cold? 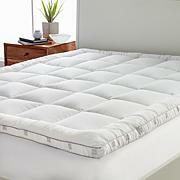 Layer on this soft fiberbed and float away to dreamland in cool comfort. 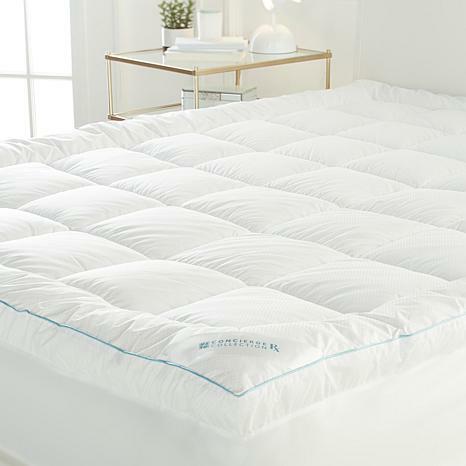 Climarest keeps it consistent and treats you better with technology that absorbs heat for a luxurious cooling effect night after night. So stop wondering where you stand — or where you sleep — at bedtime, and fall into this deliciously reliable new feeling! 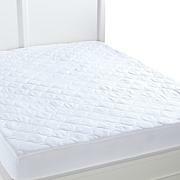 Use lightweight cotton sheets to maximize the cooling effectiveness of the fiberbed. 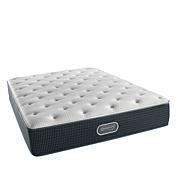 If you are looking to add comfort and some more cushion to your bed then this is what you need. It is very comfortable to sleep on and it does keep us cooler and warmer just like it said it would. Well worth the money. I purchased this item for my niece who has a condition like 365 shingles. She needs to keep cool or breaks out in bad rash. She spent much of the summer on her bed trying to stay cool. She loved it and said "it was a lifesaver" for her. I added this to my Queen memory foam mattress as it was too soft and I kept feeling like I had fallen in and was being consumed. This gave me the additional support without the sacrifice of the softness I was seeking, as I have a 16" mattress already. Was a great choice and made for the optimum solution for my problem. Many thanks.